I taught a Qoya Class in NYC this week where I asked jokingly, "Has anyone noticed we've been in eclipse season?" People laughed. I imagine people who are not interested in astrology have even Googled it this week to find out what's going on up there, because something is definitely going on down here! Eclipses can bring intensity to our experience and a general feeling of "expecting the unexpected." If you reflect on the last three weeks, has a theme emerged with an opportunity for growth? Have you embraced the challenge and looked it in the eye or pushed it under the rug for another time? Imagine if you were fully self-expressed today, right now. What would you say that has been left unsaid? What would you do that has been left undone? What would you dance that hasn't yet been embodied? As you explore the answers to those questions, instead of furrowing your brow and thinking really hard, let your body guide you. Close your eyes, breathe deeply for a few moments, and without force, notice what emerges naturally. When it arises, reflect on the choice you've been making so far and decide: will you express or repress it? Qoya is based on the idea that through movement, we remember. We remember our essence is wise, wild and free. When I talk about wild, I talk about the ability to express vs. repress how we feel and the truth of our experience. I think about animals in the wild and their authentic embodiment contrasted with people who say one thing when it's so painfully obvious that's not how they actually feel. There's a sigh of relief I feel when I connect with someone who is truly expressing the heart of how they are feeling. However, before we can express how we feel, we have to call up the courage to feel. Feeling isn't a mental experience; it's embodied, so much of the medicine of this time and the power of the feminine rising in each individual, relationship, organization, and culture, is reclaiming reverence for our felt experience. Once felt, it is soulfully known. Once soulfully known, it can be soulfully expressed! Have you had the experience talking to someone where you felt, "Wow! I really found the words to express how I am feeling." The goal of Qoya is to do that with your body, to authentically express how you're feeling in your body in each moment. Like taking a photo to remember something, once you have a physical experience of alignment between what you are thinking, feeling, and doing, it becomes an active memory to guide you as you live your life, so that the next time you're deciding what food will be most nourishing to eat, the courageous conversation with a loved one, gathering courage to follow your creativity with a work idea, or whatever crosses your path, you will be expressing vs. repressing your truth. Think of all the people you know if your life who are on the verge of authentic expression. Think of how they would revolutionize their relationships to themselves, other people, nature, and spirit if they felt encouraged to use their voice authentically. When people deeply feel the truth in their bodies, they also experience the truth that we're all interconnected. Every single person. Each person is an individualized EXPRESSION of that oneness. What a joy it would be feel the freedom to express vs. repress, not only in our outer world, but also in our inner worlds. Are on the verge of authentic expression? How would expressing yourself revolutionize your inner and outer worlds? To embody the energy of this new moon in Leo and partial solar eclipse, I invite you to dance with this free movement video called Let's Go Be Who We Are. Maybe you even want to find something to wear that expresses how you're feeling right now. As intensity brings clarity to our blessings and challenges, may we find ways to express our truth to ourselves and to the world. Enjoy several opportunities to dance with Rochelle in New York coming up! Theme: Embodied Upgrade. Do you know when your phone says it's time to upgrade and you press "Later?" Sometimes during retrogrades, our soul asks for an upgrade, too. 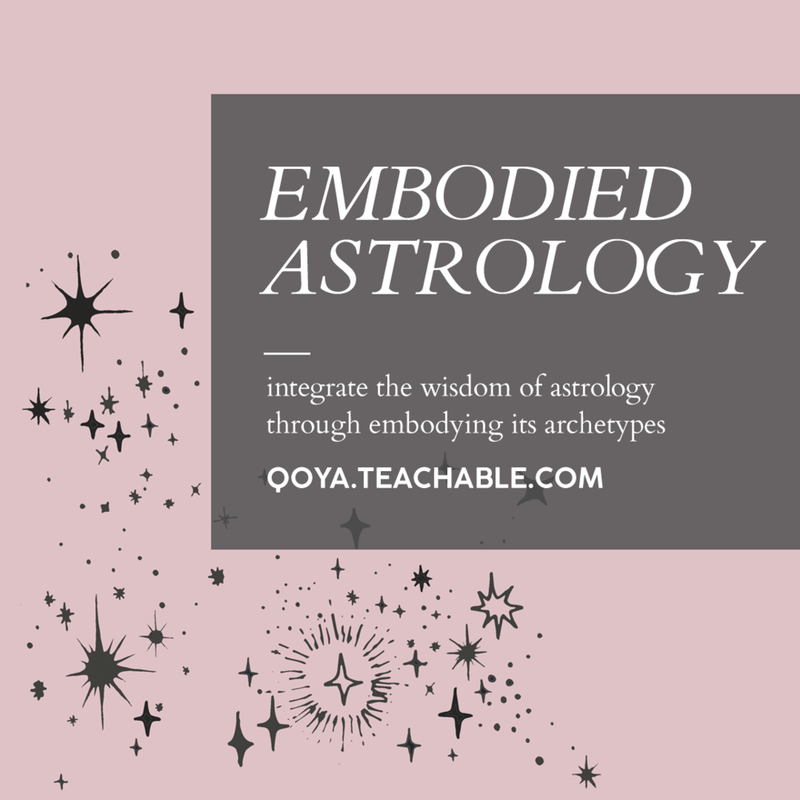 Come dance with the wisdom of your body to feel what wants to emerge during the last few days of Mercury Retrograde. Theme: Slow Down to Feel More. Nourish yourself with an invitation to move with your body's authentic timing. Gift yourself space to feel how you feel without needing to narrate your experience. Leave feeling connected to your body and ready for your next adventure. Location in Manhattan (Chelsea) will be sent to you upon registration. Theme: Delight. Go on a rampage of appreciation and see how much your body can feel gratitude with all that is present right here and right now. What you look for is often what you see. Would you like to look for what delights you? Theme: Sacred Space.Use the power of your intention to infuse meaning into the world around you and through your inner experience of the world. Create sacred space to explore the wisdom of your body and listen to its messages. What does it find most sacred? Theme: Nourishment.What is the most nourishing thing you can do for your mind, body, heart and spirit? If it is gathering with a group of women to explore through movement, ritual, and community your body's wisdom, your authentic expression, and expanding your capacity for connection with yourself, others, nature and spirit, we'd love to dance with you! 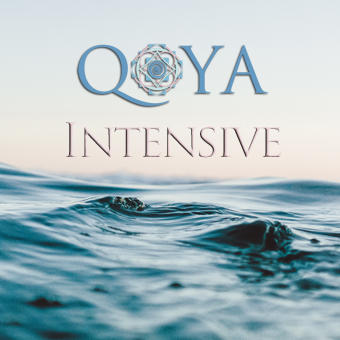 If you've been wanting to become a Certified Qoya Teacher by taking the Intensive with founder Rochelle Schieck, you now have a new opportunity to do so in the U.S.! This training will be offered November 13 - 18 at the cozy Menla Mountain Retreat Center. This will be a beautiful time at Menla with the autumn leaves. Click here to learn more and register now through August 11th.